Thank you for taking a moment to read this important message about our sister sites: THE PATIENT PATH and THE PATIENT’S PATH. That’s right—the names are very similar, but you will find specific content at each site. The mission is the same for both: educating patients to become full, empowered partners with their healthcare teams. For the past three years on The Patient Path, you have followed my story of Uterine (Endometrial) Cancer, the fourth most common cancer among women. At this writing, I am still cancer-free despite dealing with a few residual effects of treatment, which I am also following on this site. 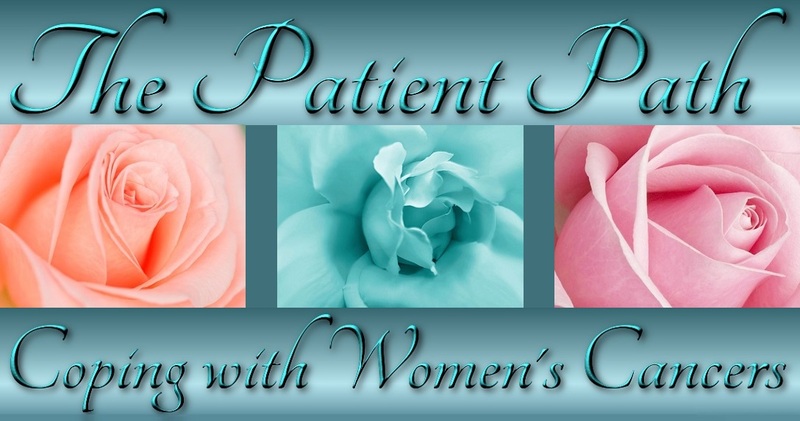 Although I have also written about other healthcare topics on The Patient Path, the posts telling my personal uterine cancer story became prominent. So recently, I decided to expand the site to discuss other women’s cancers (see, for example, Breast Cancer – Diane’s Story & More). But many other health stories are equally compelling (see, for example, Chelsea’s Story: Spinal Surgeries for Scoliosis & Degenerative Disc Disease). And these stories now have a new home on The Patient’s Path—the title is just an apostrophe and an “s” away from the original site name. Having done a lot of research on well-respected medical sites while undergoing my own treatment, I know how daunting it can be to absorb technical information while struggling with the emotional aspects of significant health challenges. Our doctors and other care specialists are highly trained to provide the tough medicine we need to get better. But often, patients find it difficult to get answers, explanations, and emotional support from busy clinicians. Thank you for being readers of our peer health education sites. Please be in touch with questions or comments, especially if you need personal support or have stories and information to share.